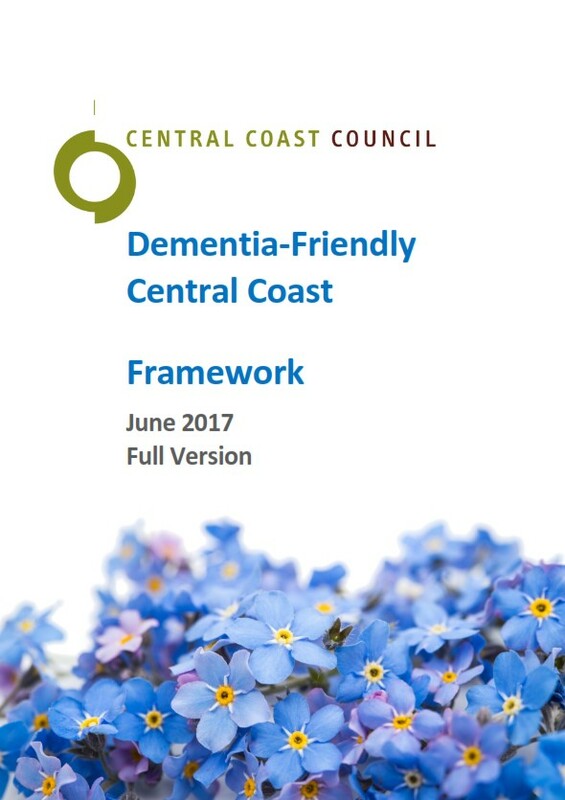 The Council engaged local consultant EJ Shu to develop a Dementia-Friendly Central Coast Framework. The Framework adopts Alzheimer’s Australia definition of a dementia-friendly community as a place where people living with dementia are supported to live a high quality of life with meaning, purpose and value. The Council recognises that meeting the challenges of dementia will need a collaborative whole-of-community approach in order to raise dementia awareness and promote improved health outcomes. The process of becoming a dementia-friendly community should be shaped and driven by local concerns, aspirations and actions.